Your figure describes a set of parabolas that could cause cardiac arrest in a yak. Perhaps your special someone makes your heart skip a beat. 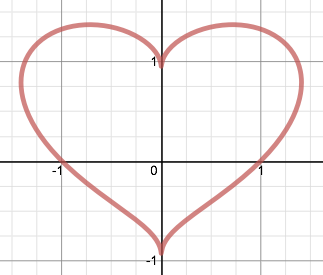 Wherever you look for love on this Feast of St. Valentine, I hope you find it — or at least stumble on a couple of great problems to distract you.